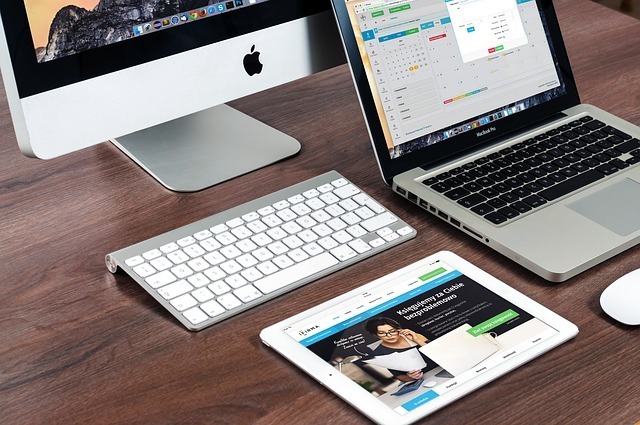 It's more critical than ever these days to have a mobile-friendly site as a majority of the population uses mobile devices to browse the internet rather than desktops or laptops, says Matt Sicotte, CEO of SimpleMobileSites.com. What are the major differences between mobile and traditional websites? The major differences are that a mobile website utilizes the functionality of the mobile device, such as "tap to call," "tap to text," "tap to map," as well as easier ways to make purchases with payment processing integration for certain banks and credit card companies. 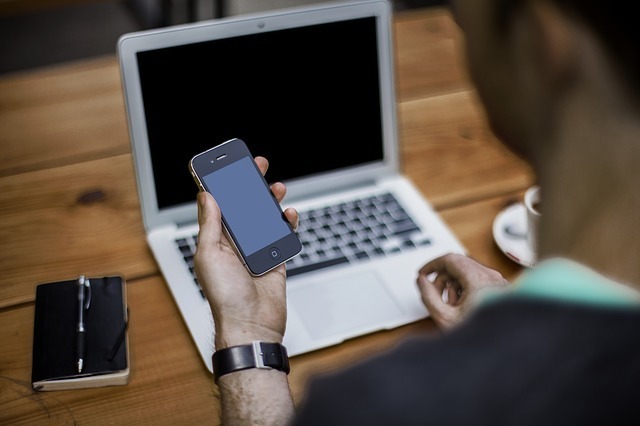 How can organizations make their sites mobile friendly? What are some best practices? There are many tools (software platforms) that will take an existing traditional website and create a mobile-friendly version that will redirect a mobile user, too, when viewed on a mobile device. Make sure that when creating a mobile-friendly version of your website, you check to see that it works on most major mobile devices, as well as that it integrates seamlessly with the functionality of those devices, such as maps, SMS, messaging, payments and calling. What are the most common mistakes or oversights you observe on supposedly mobile-friendly sites? What are some of your biggest pet peeves when visiting a website via a mobile device? That the most important information for a mobile user is NOT easily available, such as contact info, location(s), hours of operation. I suggest this info be near the top of the mobile-friendly version and available on all the pages of the website. What are some of your favorite tools for making a site be more mobile-friendly? DudaMobile has some really cools tools to help make an existing website mobile. What brands or groups have been especially innovative on their mobile sites? What can we learn from them? Panago.com has one of the most innovative and easiest ways to order food to be delivered to your door via your mobile device. Groupon.com makes it easy to browse and purchase via their mobile-friendly website. Connect with SimpleMobileSites on Facebook, Twitter and LinkedIn. What started out as simple combinations of punctuation marks has evolved into an entirely new language commonly known as emojis. While it may take some users a little longer before they can take messages with smileys and hand gesture icons seriously, there's no arguing that emojis are a method of communication that's here to stay. 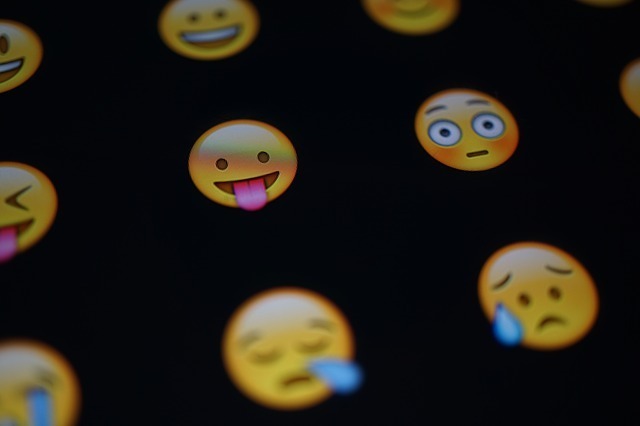 When it comes to using emojis in business correspondence or text message marketing campaigns, there's a fine line between appearing as a sixth grader snickering behind a smart phone and a smart and trendy businessperson sharing a fun message. Here are some things to keep in mind if you're thinking of using emojis in your text message marketing efforts, to be sure you send the right message. Use the right emojis for your text message marketing campaign. Emojis are cartoons by nature and work best if you remember to keep your message light and fun. If you really have to dig deep to find an appropriate emoji for your campaign, it's possible that your message is just too serious a topic for emojis. Party: yes. Funeral: definitely not. If you can't find an appropriate emoji to use in your text message marketing campaign, save them for another, more lively and ubeat marketing effort. If you've ever received a message full of emojis, you're likely familiar with how difficult it can be to decipher the message. Using too many emojis or sending messages that are only emojis can leave your recipients confused and wondering if a middle schooler has hacked your account. You want your message to be fun and hip, but you don't want your readers giving up and deleting it because they can't figure out what 25 slices of pizza and 15 pandas should mean. Don't leave your customers confused. Using emojis can help to keep your messages brief and engaging. For instance, if you plan to invite your guests to a sports-themed party at your pub, you can choose to share a brief message, plus the appropriate emojis related to sports and partying. This can help you stay within the 160 character limit for text messages, while keeping things fun and light -- the kind of feelings you want to convey if you're planning a party. It's important when considering emojis for your text message marketing campaign that you use the appropriate ones to convey clear messages. This might take some research if you're experimenting beyond the party hat and happy faced smiley but will be worth it when you don't have to answer replies asking what exactly your intention was when you sent the eggplant emoji. If there's a chance that your message might be misunderstood or taken the wrong way, you might want to reconsider whether you absolutely need to include an emoji in your text. Whether or not you choose to use emojis in your marketing efforts depends upon the type of message you want to send to your customers. But one thing is for sure: emojis or not, text message marketing can help your business in a variety of ways. Are you ready to get started with your first campaign? Try ClubTexting for free today! Nonprofit organizations can boost their fundraising efforts by incorporating text message marketing into their program. 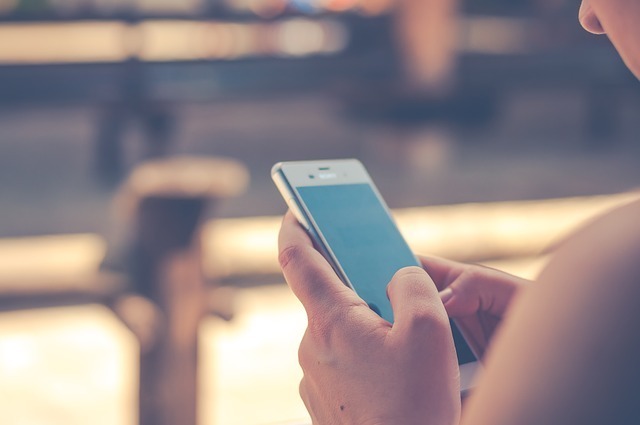 There are two popular options for using texting for fundraising purposes: text to donate and texting a link to a donation page. There are important differences between the two that you need to recognize so that you can create the best text message-based donation campaign for your organization. Make it easy for your donors to give money with text to donate. Text to donate is a program that allows users to text a certain keyword to a special code to automatically make a donation of a certain amount, usually around $5 or $10. The amount for the donation is typically billed to the person's mobile phone plan. This approach provides an easy way for interested parties to donate money, since all they have to do is text a keyword to help out. Although this option is simple for donors, it can be difficult for organizations to set up. It typically requires that you receive a large number of donations per year, often over $500,000. Additionally, it can take months to get a campaign up and running. Once your campaign is over, it also takes weeks or months for you to finally receive all the donations. Additionally, it does not give the donor an option to sign up for recurring giving or matching donations and may limit the amount they can give. The cost of running this type of campaign is much higher than a typical text message marketing effort. Because of these issues, this type of campaign is usually only developed by larger organizations. The other option for fundraising through your text message marketing campaign is to text subscribers a link to your donation page. You can still promote your program in a similar manner by using a keyword. When people text the keyword, they will receive a text message with a link to your donation page. From there, they can make a donation of any amount they wish and even sign up to make recurring donations. When you create a link to page campaign, be sure to make your donation page mobile-friendly so potential donors don't need to login to their computers to donate. That way you still benefit from in-the-moment donations that are easy to complete. Setting this type of campaign up is inexpensive, and you receive donations instantly via your website. The only caveat is that it really works best with those who have smartphones. Around 90 percent of American adults have a cell phone, but only 64 percent have a smartphone, so you may miss out on the percentage that does not have one. Whether you should implement a text to donate or link to page campaign largely depends upon your organization, its size, and the goal of your campaign. For many smaller organizations, it is best to just create a text message marketing campaign and incorporate a link to page program. Contact us to learn more about using text messages to support your fundraising efforts. Text messaging is a great way to get your message out into the world, immediately. But marketing messages need a deft touch or they can send your customers rushing for the 'opt out' button. There are a number of important factors to consider when structuring your text messaging campaign. To avoid making a mistake, pay close attention to the following golden rules. People love their phones - send great texts and become a part of that. Nobody likes to receive messages they didn't opt-in for. Critical to running a successful text messaging campaign is to make sure that your audience actually wants to receive your messages. To do this, you need to acquire their permission before you start texting them. Potential subscribers can text you to opt-in or if your database is manually managed, you can obtain written consent. Getting permission is essential to your text marketing campaign. Failure to do so could result in legal ramifications, as well as damage your brand and annoy your customers. The frequency of your texts is important. Too many, and your customers get irritated. Too few, and they forget about your campaign altogether. Standard practice is to send between two and four messages per month. Similarly, keep your texts within business hours. Respect people's privacy enough to leave them alone when their work day is done. There is the added benefit of people being more interested when they're active and up and about. Text marketing often requires immediate action to work well, and that's not going to happen if your subscribers have just been startled awake from a nice dream by a text message notification. Vary your times depending on the product you're selling. For example: if you're marketing a meal at a restaurant, then just before lunchtime is the ideal time to send your texts. Tell people what is going on, and don't take your time about it. The constraint of text campaigns that balances out their speed is that nobody really likes reading long text messages. So your best bet is to get right to the point, and make sure your call to action is strong. Additionally, ensure that your terms and conditions are easily accessible and be clear about what your campaign is about, what is required and anything the customer should know. Use easy language and don't get wrapped up in the little things -- a clear sentence is often better than one with a bunch of fancy words. Texting is an immediate and direct form of marketing. The service you are offering or the campaign you are promoting must do something for the customer. It must enrich their experience in some way. They've given you their permission to communicate with them via this channel, and they should get something good in return for that. It's all good and well to try and sell a product via text, but if there is nothing about your message that engages with the customer, then you're just wasting characters. As Kern Lewis says for Forbes: "Be of use to your subscribers first." 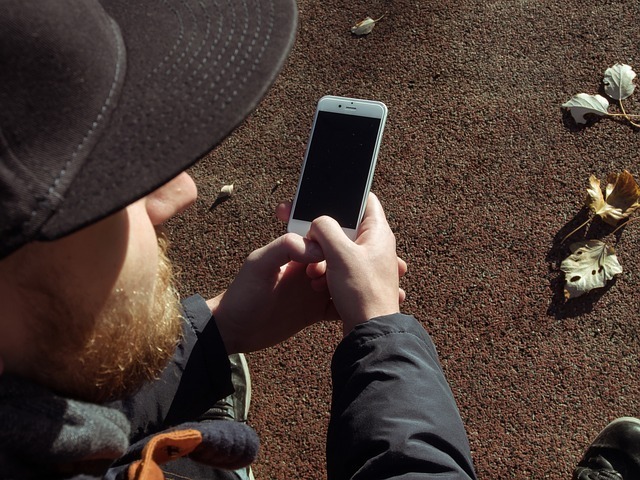 In an age where there are very few people on the planet without a phone, it's not difficult to see how text message campaigns can help businesses expand their reach and grow their customer base. If you're interested in seeing what text message marketing can do for you, why not try ClubTexting for free? Nightclubs and private functions were made for each other. However, in order for you to count your party a success, you need party goers to add your club to their itineraries early. There is no shortage of options when it comes to venues, so getting people to line up at your club might require more creative methods than you've used in the past. Gone are the days of passing out flyers and hoping people show up. Here are some ways you can start the New Year out right and attract people to your nightclub with text marketing. 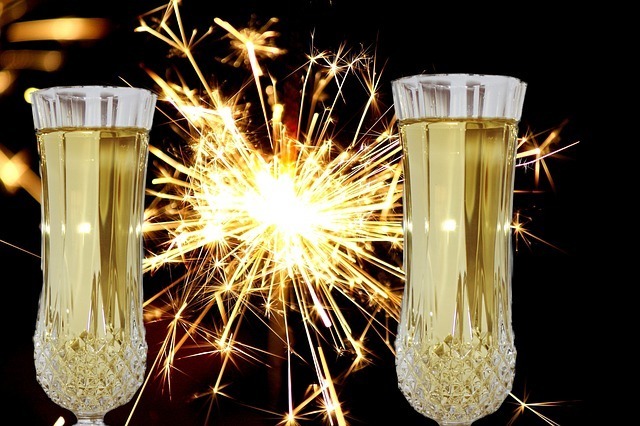 Start 2016 with the best New Year's party in town. One of the greatest benefits of text marketing is the ability to establish a more personal relationship with your guests. Rather than taking the chance they'll see a flyer somewhere, you can notify your SMS program subscribers about your event directly. Even if you send the same message to everyone, receiving the text on a smartphone feels much more personal than hearing an ad on the radio. Plus, it gives your guests the feeling of having an exclusive "in" to your club. Considering nearly 100 percent of all texts are opened and read, you have a much better chance of gaining the attention of partiers through text marketing than by any other type of invitation. Make sure when you send out your text, you encourage the recipients to share the invite with loved ones. In order to reach more people even faster, you can provide an incentive, such as a promotional offer or bonus to those who pass the message along. There isn't any faster or easier way to spread the news about your event than by encouraging the receiver to forward your message or tell a friend about your club. There are a number of special promotions and perks you can include in your text marketing to make sure people are lined up to get into your club this year. Consider offering discounted VIP service and special drink offers. Further, try promotions such as asking the recipient to show the text at the door before 11PM for free admission. If guests are at the club by 11:00, there's a good chance they'll stay and celebrate until long after midnight. In this world where instant gratification can go a long way, consider providing instant drink specials and bonuses in your text marketing that guests can benefit from right away. If they know they can qualify for a free drink simply by texting the keyword or forwarding the offer to their friends, they can help spread the news of your party and may be more likely to show up at your club for future events. Are you ready to get the party started at your nightclub? Try ClubTexting for free today! Your call to action determines whether or not you get the engagement that you want from your marketing efforts. A strong call to action motivates your customers to click, buy, or otherwise interact with your company. Mass texting campaigns require a powerful call to action just like any other marketing effort. With only 160 characters, it can be difficult to find the perfect CTA for your text messages. One powerful choice for companies that have a physical location is "show this text." People have their phones with them, making it easy to show a coupon. When you send out an offer or discount to your mass texting subscribers, you may assume that they will inherently know to show the text to redeem the offer. However, if you do not specify that the offer only applies for those who show the text, then they may not realize that it is a special discount, or they may delete the text and then get frustrated when they are unable to redeem the offer. By specifically stating "show this text," it dictates to the customer exactly what you want them to do. It also helps to impart that they're receiving an exclusive deal, rather than a general announcement. This feeling of exclusivity increases their motivation to actually redeem the text. Show this text is also a CTA that everyone can do, even those who do not have a smartphone with Internet capabilities. Although two-thirds of Americans own a smartphone, it's still limiting when you send a text with a call to action that requires clicking a website link. Mass texting is a powerful marketing tool for many reasons. Texts have a high open rate and conversion rate. Additionally, almost everyone owns an SMS-enabled mobile phone. People also carry their phones with them everywhere, with 80 percent of smartphone users only letting them leave their side for about two hours per day. This means subscribers can receive the text even if they do not have Internet access or are on the go. It also means that they do not have to remember to print out a coupon or bring something with them to redeem an offer in your store; instead, they just need their phones. Your sales staff needs to be ready to accept coupons and other discounts via text. If you send out a special offer such as a discount or coupon, exclusive access, or some other benefit and ask people to show the text, it is your responsibility to be ready to honor it. If your staff members or volunteers are unaware of the campaign, then it could lead to confusion and poor customer service. This will mitigate any positive effects of the campaign. Show this text is a powerful call to action for your mass texting campaign because it is simple and imparts a clear order. To further increase the efficacy of your CTA, it is beneficial to create a sense of urgency and evoke emotion with your messages. Ready to see the power behind "Show this text"? Try ClubTexting for free today. Although the real estate market has improved over the past few years, it remains a tough, competitive environment for agents. One way to stand out from the rest is to incorporate SMS marketing. SMS is an excellent way to keep in contact with your current clients, as well as prospective and former clients. If you are looking for ways to use SMS beyond sending individual texts as a way to boost your business, then try creating a message from one of the following categories. Text clients as soon as a hot property hits the market. Nearly everyone owns some type of mobile phone, and half of the population doesn't ever turn their cell phones off. This is one of the big reasons why people open text messages within just a few minutes of receipt. Because texting is such an immediate communication channel, it is the best way to send property alerts to current and prospective clients. As soon as you hear of any hot new properties or a price cut on an attractive house, you can instantly send a notification to prospective buyers before others have a chance to get in the game. Your clients can also text you back their interest, setting things in motion right away and minimizing the risk of losing out to another interested party. Another type of message that's interesting to your subscribers is market updates. This can include highlights of the latest properties on the market, as well as home price trends. It is possible to break down your subscribers by neighborhood or other geographic area to send targeted market updates, in addition to or in lieu of general updates. 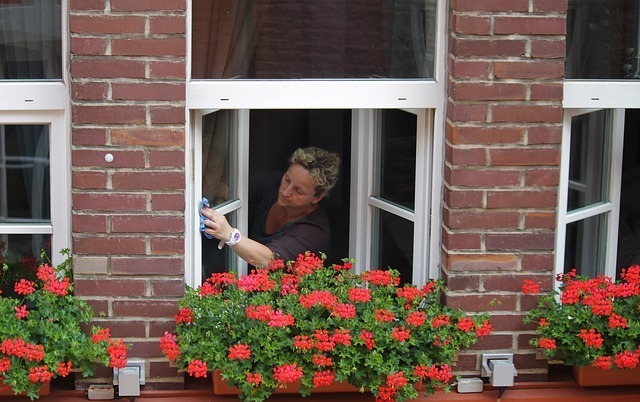 As a real estate agent, your calendar quickly becomes full as you take clients house hunting and work on offers. One missed appointment has the potential to throw your day off course. With SMS marketing, you can send out appointment reminders to reduce the number of missed and forgotten appointments. This not only provides a valuable service to your clients, but it also keeps your schedule on track. Current and prospective clients appreciate learning industry secrets, and you can use your SMS marketing program to send out house hunting tips to your subscribers. You only have 160 characters, so your tip can be something short and simple. If you have more to say, include a link to a blog post in your text message. As a real estate agent, you not only help people find homes, but you most likely also help them to sell them. Your SMS marketing program provides a platform to send out tips on how to get the most money when selling property. It is easy to divide your subscribers into separate groups so that prospective sellers receive one set of tips and prospective buyers receive another set. Partner with a maid service and offer exclusive discounts for your text subscribers. One way to attract new business is to send out exclusive deals via text to thank clients for choosing you. This could be a free appraisal, free house cleaning, discounts on a partner moving company, and other related services that your clients would want. These additional services set you apart from the competition, and if they are only available to your text messages subscribers, they become even more powerful. Incorporating SMS marketing can help to boost your real estate business in many ways. 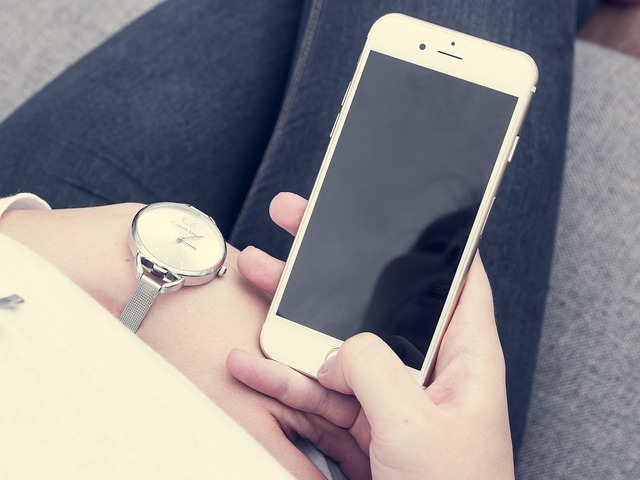 Before you start texting clients, it is important that you get their permission, which you can easily do when they sign up for your texting service. You can also attract prospective buyers to your list by advertising your campaign on your property listings. As people drive by, they can see your ad and opt into your campaign to learn more about the property and get the latest updates. Contact us today to see how texting can help your business. Text messaging has become one of the fastest growing marketing channels, but many companies still rely on email marketing as a way to communicate with customers. Although mass texting works well as a standalone marketing tool, it can also complement your email marketing efforts. With the right plan in place, it is simple to leverage your texting program to capture email address and grow your subscriber list. Get creative with your CTA to increase engagement. Asking potential customers to sign up for a email list or send an email message does not necessarily make the best call to action. People may not be in front of a computer or have their email handy when they walk by a poster or billboard, see a TV ad, or read a print ad in a magazine or newspaper. However, they will have their cell phone on them and can instantly text to join your mass texting program. You will capture many more subscribers using an SMS-based call to action as opposed to an email CTA, helping you to grow your list of potential customers with whom to communicate. Once you have your mass texting program underway, it is time to send a text that asks subscribers to opt-in to your email marketing campaign. You can create an auto-response as part of the initial sign up that also asks for their email address, or you can send out a text at a later time. Your subscribers can text in their emails, which are then automatically included in your customer data so that they receive your marketing emails too. Many text message platforms integrate with the popular email marketing platforms, making it even easier to integrate the two. Instead of asking your mobile subscribers to text in their email address, it is possible to simply promote your email campaign via mass texting. Although you do not want to overwhelm your followers with cross-promotional texts, it is beneficial to occasionally let them know of other ways to stay in touch with your company and receive discounts. In a text, you can provide information on how to sign up for your email campaign, as well as why it is beneficial to do so. In order to get people to sign up for not one but two different campaigns, it is important that you illustrate their value for potential subscribers. Even if you only use your mass texting as a way to capture email, you need to first offer some type of value. The most common way to do this is to simply provide an exclusive offer or discount for joining. Offer your customers something for opting in. If you do plan to run two campaigns, it is even more important that you offer deals exclusive to each medium. You do not want your text message subscribers to opt out because they feel they receive the same exact information from your emails, and vice versa. Instead, they should want to be part of both lists because they receive valuable information and offers from both platforms. The customers who have signed up for your mass texting campaign are already engaged with your company and want to receive communication from you. This makes it more likely they will want to sign up to engage with your business via email as well. By smartly integrating the two, you can use your texting program to capture emails to have another way to communicate with your customers. Contact us to get started with a mass texting campaign. The holidays are just around the corner, and for many businesses, this time period represents the bulk of their sales for the entire year. The highest average monthly retail sales tend to be in November and December as people hit the holiday sales and buy presents. Having a good holiday season is important for the health of your business. By using group texting, you can engage with your potential customers and boost your holiday business. 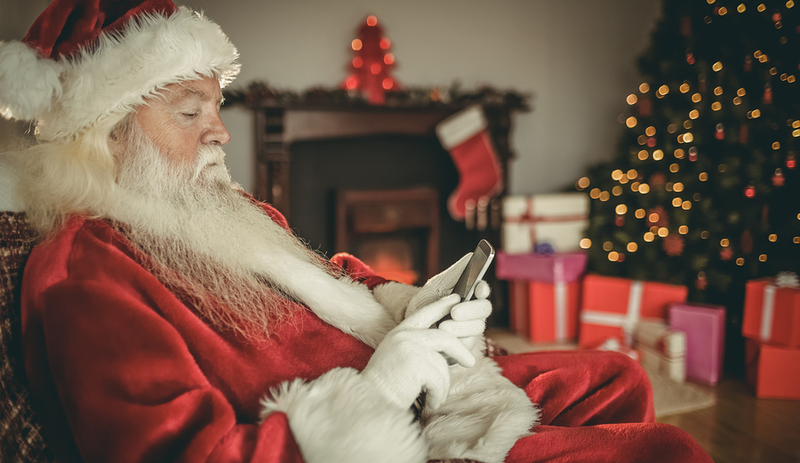 Santa's not the only one who can send out holiday greetings and gifts through text. One way to get into the holiday spirit and engage your customers is to run a holiday-themed text to win contest. This type of contest is simple to run and easy for your customers to enter. If you offer an attractive grand prize or something small just for entering, such as a special coupon, then people will be more likely to participate and subscribe to your SMS marketing list for future campaigns. 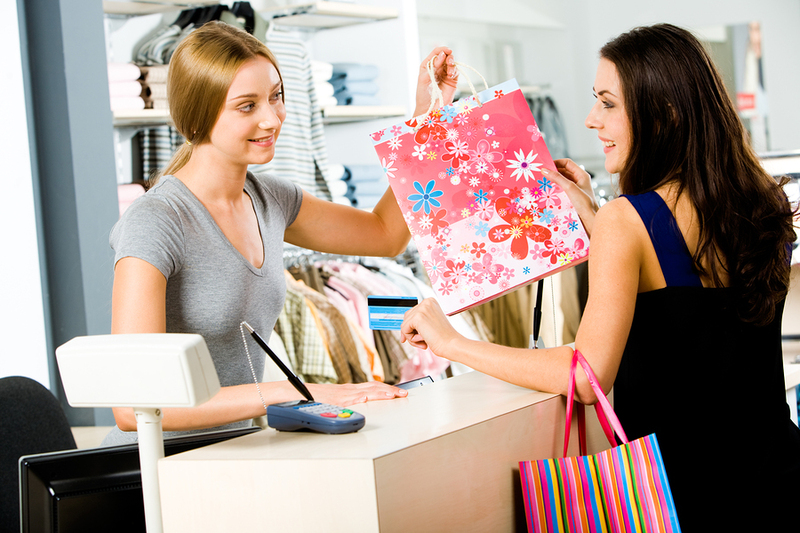 Once they have the coupon, they will be motivated to shop for gifts in your store or business. Sales and discounts drive the holiday shopping, which is why Black Friday deals start earlier and earlier every year. You can take advantage of people's desire to save big in the holiday season by sending out special sales that are exclusive to your text message subscribers. In the weeks leading up to the holiday shopping period, it is beneficial to promote your group texting program, promising special exclusive sales and deals for subscribers. Group texting is an immediate marketing channel. Most people open their texts within just a few minutes of receipt, which makes it the perfect forum for sending out last minute discounts and flash sales. It is best to send out your message a few hours before the sale begins to ensure people have time to prepare. The more limited-time the offer, the more motivated people will be to take action right away. The holiday season does not have to end once Christmas passes. Many smart shoppers wait for the after Christmas sales to do their shopping to take advantage of better deals. With group texting, you can promote your after Christmas sales and boost business by offering an exclusive coupon. When your team develops your holiday marketing flyers, incorporate a text CTA. One way to extend the reach of your holiday marketing efforts is to include information about your group texting program in your call to action on your marketing collateral. A short CTA easily fits on posters, flyers, television ads, print ads, and more, because you simply need to include a keyword and short code. Not only will this help you attract more business around the holidays, it will also help to grow your mobile subscriber list. There are many other ways to incorporate group texting into your holiday marketing strategy. A creative campaign can help you get the attention of last-minute shoppers and boost your business during this important season. Ready to run your holiday campaign? Try ClubTexting for free today! Businesses that have multiple locations don't have to always use the same mass text messaging campaign for all their stores. With a few simple actions, you can easily create multiple text marketing campaigns for each of your store locations, or you can text subscribers about all your locations. The following tips will help you to get the most out of your text marketing program at each of your stores. If your business has several locations, you may benefit from multiple keywords. Using multiple keywords is an easy way to set up individual campaigns for each of your store locations. However, it's important to keep in mind that this doesn't work for every business. Generally, if you have multiple locations in one small geographical location, it may not be in your best interest to run multiple campaigns. Your customers can easily get confused if they are receiving unique offers for different stores within close proximity. Businesses that have locations further apart benefit the most from using multiple keywords. Using your keywords, you can tailor your campaign to target offers for customers in one general area. It is important that you do not overwhelm customers with text messages, as they may become frustrated. When you have multiple campaigns running for each store location, you run the risk of sending a customer more texts than they want to receive. While most customers will sign up to receive offers from their closest store location, some may sign up for multiple campaigns. Recent data suggests the ideal frequency for marketing texts is around two to four per month. Therefore, it is important that you schedule your campaigns smartly so that offers don't all go out at the same time. Make it easy for customers to redeem coupons across locations. People are motivated by offers and coupons. But if you offer a coupon for one location and it is not accepted at another, you run the risk of frustrating your customers. Therefore, it is best to send out coupons that are valid at all store locations, even if you are running multiple mass text messaging campaigns for your different stores. One thing to keep in mind when running multiple campaigns is your advertising. Generally, your television and radio ads are already targeted for the specific geographical region, so it should not be difficult to include a special keyword for each of your stores. But it may be more of a challenge to market your mobile program via your website and social media profiles. If you have geographical-specific sites, then it is easier. Otherwise, you may have to just list the different keywords for each region or store location and allow customers to choose which one to sign up for. Keep track of your customers and campaigns so that you avoid duplication. When you have multiple keywords, the organization and management of your mass text messaging campaign becomes more difficult. You have to ensure that you have the right subscribers listed under the right campaign. Additionally, you want to continually see how many people sign up for more than one campaign so that you can adequately schedule your posts. It is also important to ensure your campaigns remain unique for each location while also benefiting your overall business. Once you have a strong foundation built for monitoring your different campaigns, it will be easier to ensure they run smoothly. Although having multiple keywords, one for each of your locations, may seem like a great idea, it is not for everyone. However, many companies with multiple locations find it beneficial to organize their marketing campaigns per location, and having special keywords for each location helps you stay organized. 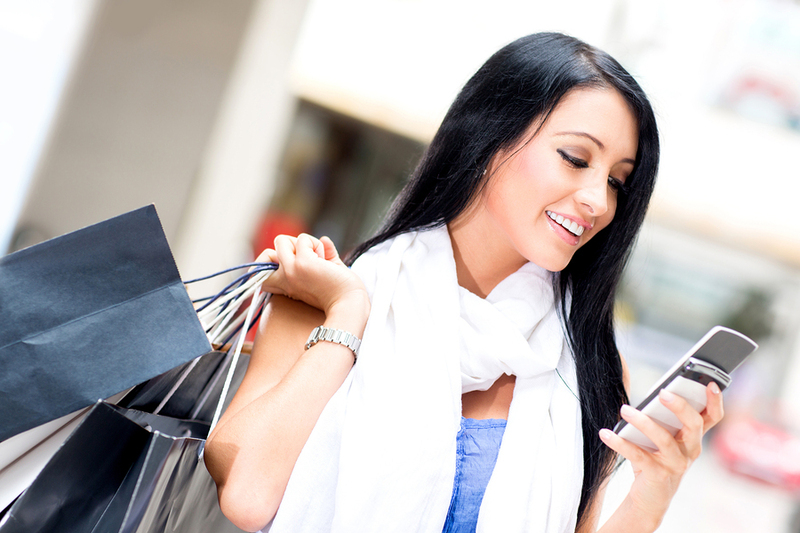 Ready to see how you can use text marketing to advertise multiple store locations? Try ClubTexting for free. To compete with other cafes, especially the large national chains, you need to stand out from the crowd. Mass text messaging offers an ideal way to do this. It is relatively inexpensive and the open and conversion rates for marketing texts are high. The following ideas should help you start driving more business to your cafe with an SMS program. Include a CTA about your texting campaign in TV ads to increase your opt in rate. If you want to encourage customers to opt-in to your text marketing campaign, start with a call to action related to your program. You can include a keyword and short code or long code on your print ads, television ads, radio ads, and digital ads. That way, no matter where your customers are, when they see or hear your ad, they can sign up for your texting campaign instantly. People love to save money, so one of the best ways to drive business is to offer special deals via text message. 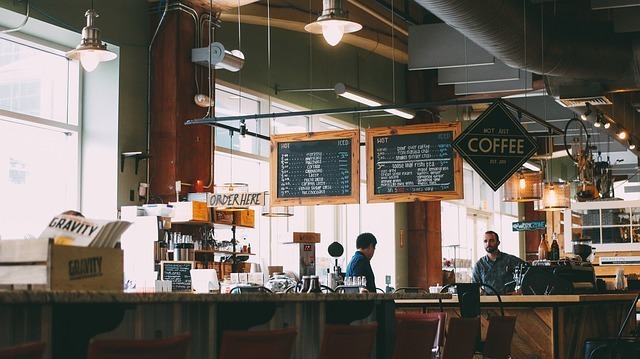 Routinely sending out valuable offers for food or beverage items at your cafe can help turn one-time or occasional customers into loyal customers. Use the space in your own cafe to promote your program. You don't need to spend a lot to advertise your text marketing campaign; you can take advantage of spaces you already own in your shop. For instance, you can advertise on your menus, napkins, napkin holders, table cloths, cups, and anywhere else that you also have your logo. Just add two simple lines of text with your keyword and short code and other pertinent information. To increase opt-ins, consider offering a special deal for signing up that can be redeemed that day. Get creative with your text messages to engage with your cafe customers. Polls and surveys help you to discover what your customers want from your business so that you meet -- and even exceed -- their expectations. You can also develop a text to win contest, offering your customers a special grand prize, such as free coffee for a month. Text to win contests are easy to run, easy for customers to enter, and can help generate interest in your business and drive sales, especially if you include a small prize for entering, such as one free coffee or a special discount. Reward the loyalty of your text message subscribers with occasional special deals. 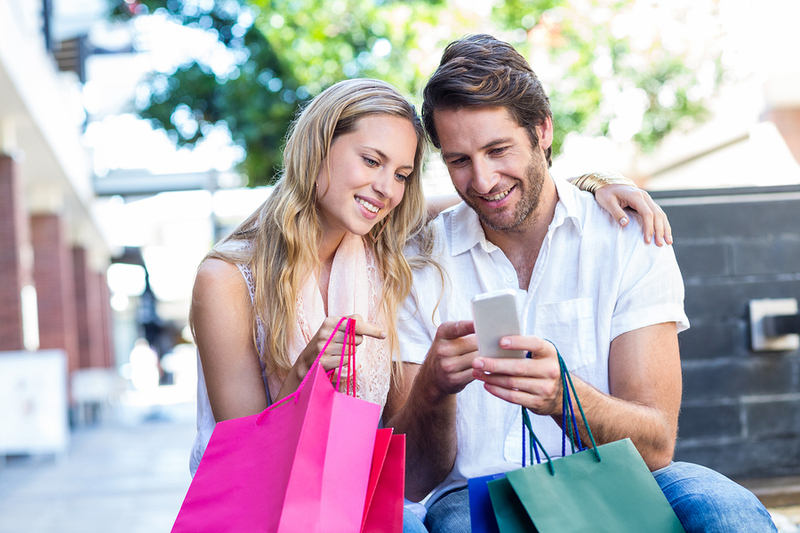 Your mass text messaging program can be used to support (or in lieu of) a card membership loyalty program. It is easy to segment your text message subscribers into groups. For example, you can track your customers' purchasing data and send exclusive offers to those who spend a certain amount at your cafe to thank them for their loyalty. 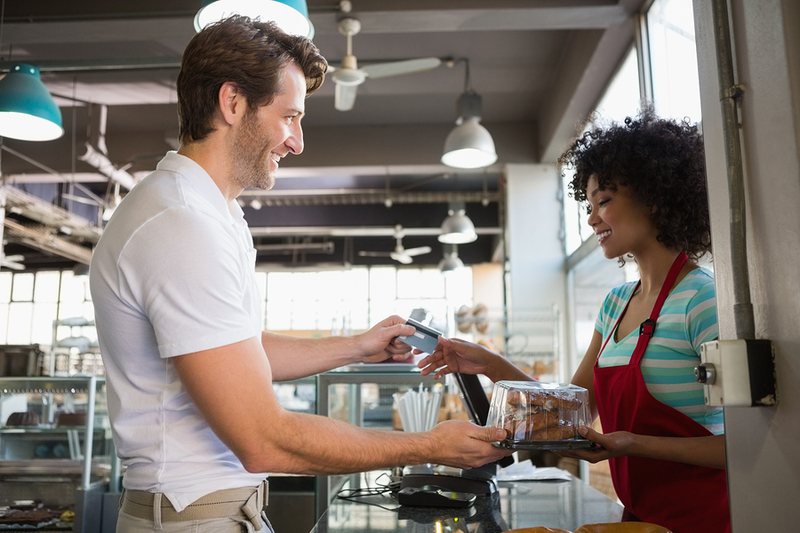 This helps your business all around, since 82 percent of customers shop more frequently with businesses that offer loyalty reward programs. Mass text messaging is a simple way to engage with customers and drive business. Because it has a significant impact and a relatively low cost, it is a marketing channel that helps level the playing field for smaller cafes interested in competing with larger chains. Contact us to get started on your first campaign. 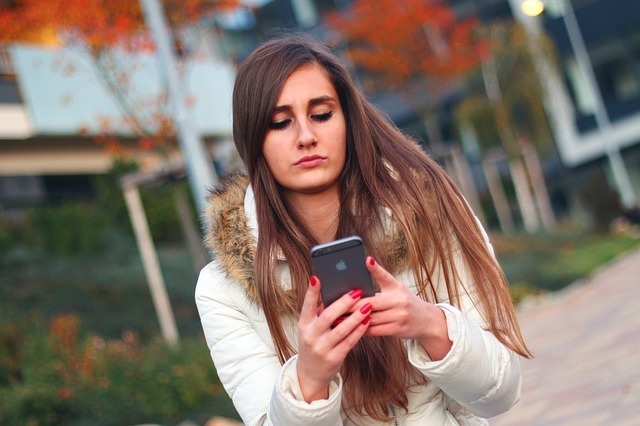 Do your social media followers know that you're using text messaging to engage with customers? If not, it is time to tell them! Your social media followers already have a positive opinion of your company and want to remain in contact. That makes them the perfect target audience for your text marketing campaign. Integrating your social media and SMS marketing campaigns provides you many benefits, helping to capitalize on the lucrative advantages of both mediums. Your followers and subscribers already have a positive relationship with you. Social media followers and text message subscribers are attentive audiences for your marketing efforts. They have already indicated an interest in your business. They generally have a positive feeling toward your company and plan to visit it in the future. This means they may also be willing to sign up to communicate with you in another way, whether that is email newsletters, social media following, or text message marketing. You can promote your text message program to your social media followers and vice versa to expand the reach of both efforts. Having a large number of followers on social media may seem like the ideal goal, but the real prize is having a significant amount of engaged followers. These are the people that interact with your posts -- commenting, liking, or sharing with their followers. You may have hundreds, thousands, or even millions of followers, but if they do not engage with your posts, then you have gained little. You can increase the level of interaction by integrating your social media and text marketing campaigns. For instance, you can run a text to win competition, asking your followers to text a particular keyword for the chance to win. Alternatively, you can use your text marketing list to promote your social media campaigns and get people to actively engage online. For example, you can text your subscribers and ask them to like and share a post for a chance to win something. Your social media and text message offers should be unique to the particular medium. Integrating your social media and text marketing campaigns helps you to grow your reach and engage with customers. However, it is important that you still maintain the two channels as unique marketing forums. In order to benefit from both, your customers must want to sign up for both. This means that they need to see the value in following you on social media and signing up to receive text messages. You can create unique value by sending similar but different messages through the various channels. It is also helpful to offer different categories of messages across the different channels. For example, you could reserve your mobile program for offers and your social media accounts for news or tips. This provides you with extra space to reach the same people without over-saturating them with messages from one source. A strong marketing plan integrates multiple marketing channels so that you benefit from their strengths and overcome their weaknesses. If you haven't integrated your mobile program with your social media, it may be time to start. Contact us today to get started! Good customer service is vital to your company's success. People shop with their emotions, and poor customer service is one of the top reasons they choose to go to another business. There are many different tools you can use to build a strong customer service program. One cost-effective option is to use a texting service to improve communication with your customers. Some companies hesitate to incorporate texting into their customer service program, but they are missing out on the following benefits. Many customers would rather text than speak to an agent on the phone. Recent data shows that a large portion of customers, 64 percent, would rather use text messages than make a call to communicate customer service issues. That percentage increases to 77 percent for those between the ages of 18 and 34. By offering a communication channel that people want, you already set yourself up for a more favorable customer service experience, which in turn results in a more positive feeling towards your company. Your texting service can also serve as a two-way communication channel so that your customer service agents can hold a conversation with a customer. The beauty of texting is that customers can communicate wherever they are. If they have an issue with your products or services or need information about a transaction or appointment, they can do so instantaneously. Most people have their phones with them 24 hours a day, 7 days a week. As soon as the thought occurs to them, they can contact you, even if they are in the middle of something. Furthermore, if they do have to wait on a response, they are not tied to a phone or computer. They can go to work, exercise, watch TV, play with their family, or go out with friends without the fear of missing the response. 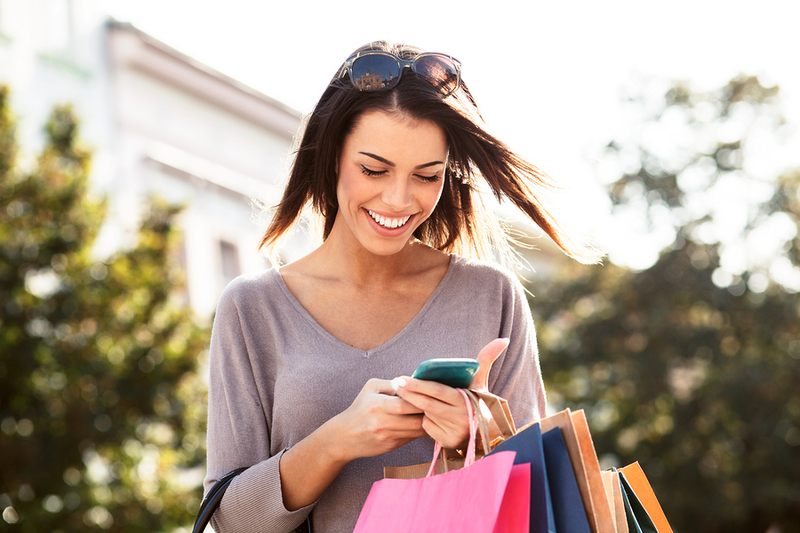 With a texting service, you can easily set up auto-responses to help your customer receive the information they need. Although not all inquiries or other customer service issues can be handled this way, answers to frequently asked questions can be sent via auto-response. This helps you to automatically respond to the issue quickly. One of the most frustrating aspects of customer service is waiting on hold. By using a texting service, you can reduce customer wait times. Instead of sitting on hold for several minutes, your customers can text and receive a response almost right away. Even if it takes your agents awhile to be able to contact them with the information, the customers are free to go about their business while waiting. This helps alleviate customer frustration. If customers experience issues but receive excellent customer service, they may be more willing to continue to shop with you. People actually read their texts. Another reason that you should incorporate texting to your customer service program is that customers actually read text messages. Text messages have a whopping 98 percent open rate, and the vast majority of texts are opened within mere minutes. This allows you to feel confident that your customers are receiving your messages. Text messaging may not be the customer service channel of choice for every customer, but a large majority would prefer to have it as an option. By using texts to communicate with your customers, you can improve your customer service program and boost your business. If you're ready to get started, try ClubTexting for free today. Halloween is done and dusted and Thanksgiving is just around the corner, which means we’re heading towards the biggest spending bonanza of the year. In theory, it should be easy for retailers to capitalize. Black Friday and Cyber Monday provide opportunities for huge sales spikes, as shoppers start buying gifts for the end-of-year holiday season. There are so many strange and surreal world records out there, it’s not as hard to break one as you might think. In 2008, National Geographic Kids magazine set the record for the longest chain of shoes ever laid out, with 10,513 items of footwear, heel to toe. Doesn’t sound too hard to beat does it? Or, how about attempting to beat the record for most star jumps in a minute (which currently stands at 61). Get your customers involved with an SMS campaign - if they can beat the record and send you the video proof, offer a prize giveaway. Whatever record you (or your customers) go for, try to keep it industry relevant. The ice bucket challenge is a bit 2014, so why not update it with a turkey twist? Because they come with pre-made brand recognition, such memetic juggernauts are crying out for a decent spin, so why not get your staff and social media followers to tip Cranberry sauce over their heads. Messier and more expensive than ice? Certainly. But wilder and wackier too. A colorful, sticky mess like this could really get you some attention online - you might even approach the scale of the frozen water viral phenomenon that inspired it. Give your online followers an incentive to sign up for mobile alerts by offering a whole bunch of festive prizes to anyone who can find a Thanksgiving-themed plushie around any major city you can get it to. A stuffed turkey - stuffed, that is, with fabric, not sage and nuts - is the obvious choice. Set a 48 hour time limit for your turkey hunt, and run it all via mobile communications. Send occasional, cryptic text message clues, making them easier as time goes on without anybody finding the turkey. It’s no surprise to see market research focused on moms. Aside from making personal purchases, moms are making important family purchases every day of the week. A recent study conducted by BabyCenter.com highlights growing trends among on-the-go mothers and reveals how they are using their mobile devices to make smarter and more convenient purchases. 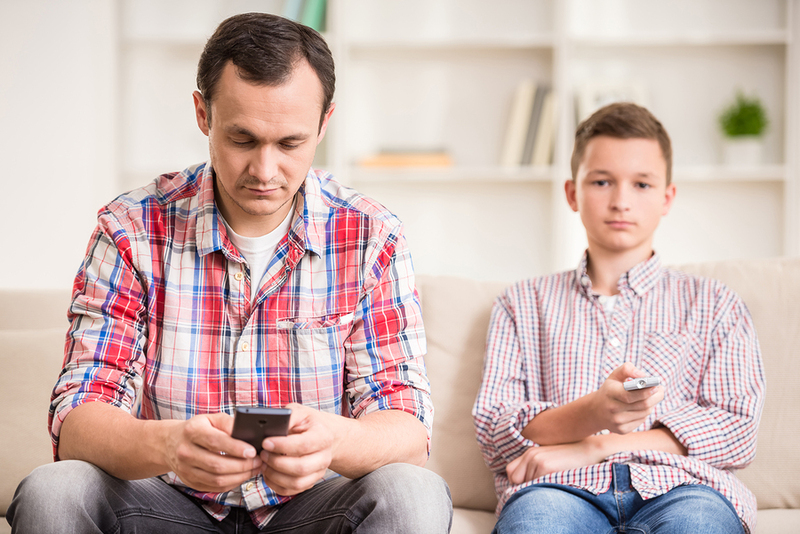 According to the report, moms are using their mobile phones to complete purchases 33 percent more often than they were just last year. This might come as no surprise—after all, nearly every demographic has shown growth in mobile purchasing. Of the 1,100 respondents to the survey, 70 percent report having used mobile while shopping inside a brick-and-mortar store location. Moms are doing this for several reasons, most of which focus on saving money. Some of the ways moms use mobile in-store to save money include searching the Internet—56 percent report doing this —and comparing prices at other retail locations. More than half of the respondents reported the use of a retailer app and 61 percent use mobile coupons. One of the most notable discoveries is that moms are using mobile to scan. They’re scanning to get coupons, and they’re scanning to compare prices, possibly with apps like RedLaser or similar QR code scanners. The big takeaway here is that moms are 55 percent more likely to make a purchase after scanning an item. For physical stores, as well as online retailers, streamlining a mom’s mobile experience should be high on the priority list. 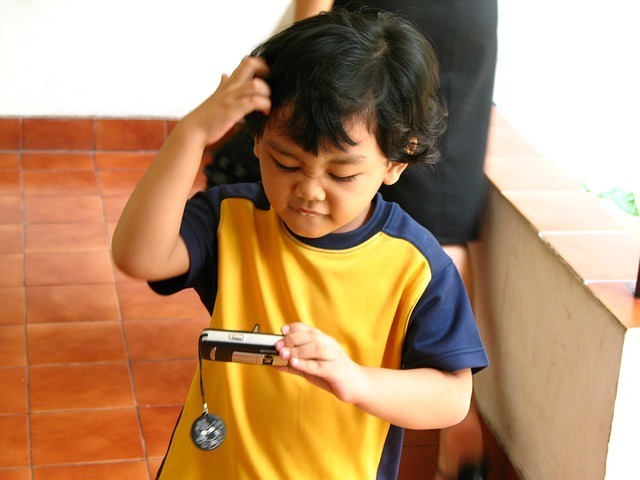 Fifty-nine percent of moms said excessive typing hinders effective mobile purchases. Four in 10 moms agree that a one-click purchasing button would increase the likelihood of them making purchases via mobile. “Streamline the process and offer special deals in-store; brands can sell more by connecting directly with moms on-the-go,” said Julie Michaelson head of global sales at BabyCenter. 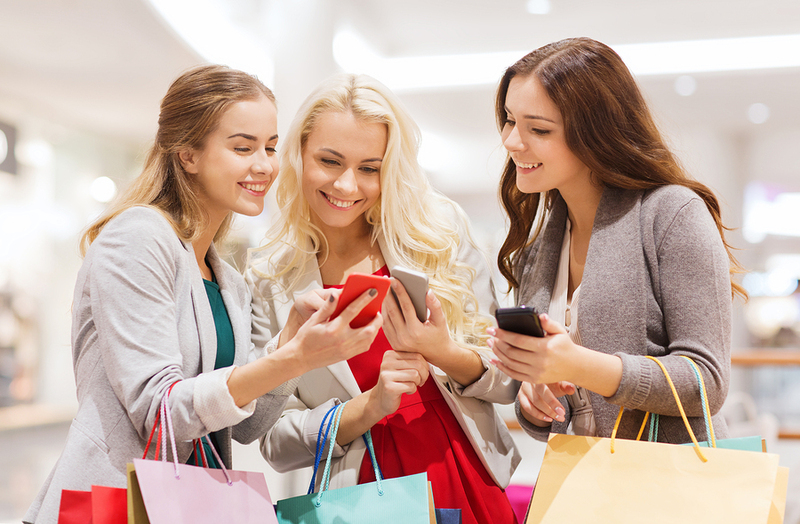 The use of mobile while shopping in-store is a great way to interact with a mom who is already positioned to make purchases. It can also build strong loyalty with customers who perceive value in mobile activity. Moms are among the savviest shoppers; using mobile to reward money-saving activities is a smart way to reach moms and reward them for doing all the hundreds of things they do each day for their families. Jeremy Pollack has a B.A. in English from USC and has been writing professionally since 2001. He is the founder and editorial manager of Compelling Content Solutions, A copy writing and content marketing services company. Mobile marketing is hot marketing. It’s so hot that companies are springing up daily to jump on the mobile marketing train. Marketing teams from big firms can’t always keep up with the every-changing mobile marketing strategies, which include mobile apps, text messages, SEO content, and other solutions. Specialized marketing agencies are taking over and filling in where in-house departments are lacking. All of this means we’re seeing new, innovative, and fresh approaches to mobile marketing that stem from each marketing agency’s attempts to one-up the other. In the ultra-competitive mobile marketing niche, we’re watching strategies and trends in the making, many of which come from a sense of urgency and most from a desire for growth in our changing times. With all of the new mobile marketing tactics, how do we know what really works? What’s the best way to gain new clients and customers via mobile marketing? Is there a best way? Social media is the most widely used mobile marketing technique. But, it’s still only used by 14.8 percent of mobile marketers. Clearly, social media marketing is a must in a comprehensive marketing plan, but it should not be the only solution you’re using. It’s going to take more than just getting social to reel in new users and customers. Mobile app marketing needs to include other channels like video ads, banner ads, and other marketing strategies. Remember, 85.2 percent of the time social media is not the most effective means of gaining users. VentureBeat surveyed 731 mobile developers, with more than a billion users among them, to find out how one can get the best mobile users. It analyzed data and created a chart that broke up mobile marketing tactics into 16 user acquisition channels. Social media marketing, as we’ve stated, came in first in terms of usage at 14.8 percent. Of the 16 channels, 8 can be executed without paid ads. This means that about 50.8 percent of marketers say non-paid tactics are their most effective when user acquisition is the goal. A bit more than half of the marketing developers queried prefer strategies like ASO, incentivized installs, PR, email, web organic search, in-app tactics, and offer walls. For mobile marketing tactics that are effective, you don’t need to go the paid spend route. Paid can help fuel growth, and it’s desirable as a core focus. But, it’s not the only solution and it should be used along with other mobile marketing solutions. As marketing techniques shift to mobile, we see old tactics reemerge as the new way to gain users. The past repeats itself as marketers strive for balance between what worked brilliantly before and the new-fangled strategies that teams feel compelled to jump on. What is the best tactic? It’s most likely a mix of old and new. What will make the difference in user acquisition from one company to the next? The business that has its marketing strategies down to a science will win. The SMS Liqor Store Has Arrived! During the early 2000s, a shadowy organization called Dial-a-Booze delivered vodka and beer to thirsty Glaswegians who were poorly served by the city’s strict licensing laws (which prohibits the sale of alcohol after 10pm and before midday). It’s ‘marketing’ was entirely word-of-mouth, everyone knew what it was, and enough of them had the latest phone number to keep the party going at 3am. 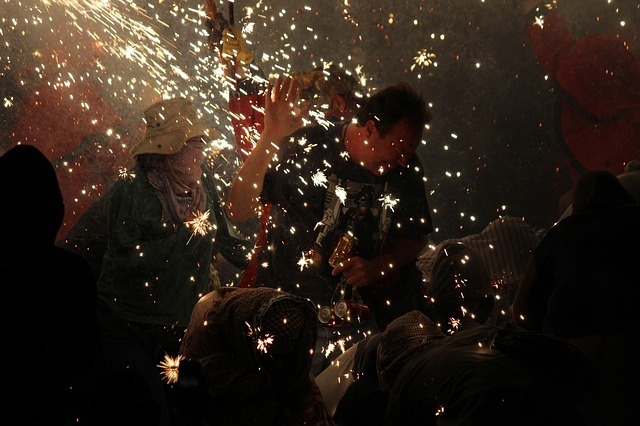 A text message was all that stood between revelers and a trunk-load of drastically marked-up beverages. Despite being treated by locals as if it were a vital public service, it was, of course, completely illegal. Skip 12 years and an ocean and the concept pioneered by Dial-a-Booze has become a legit enterprise. Drinkeasy is an SMS-based liqor store that doesn’t stop at the already-appealing idea of drinks-to-your-door. In true hipster style, the service peddles craft spirits produced by microdistilleries. It provides specific information on the source of each tipple. This is a smart move considering 24 hour grocery deliveries are already available to deliver the big brand products at cheap prices. Simply offering Smirnoff and Jack Daniel’s to mobile drinkers is not a USP; opening the door to a world of small-batch delights, not necessarily available at supermarkets, is. The service is the brainchild of Nick Manning and Harry Raymond, the guys behind Swig, a drink-friendly social networking app. Since launching the app, they began receiving requests for drink recommendations, prompting the idea that they could combine their knowledge of local, small-batch liqor with a delivery service. Right now, Drinkeasy is only available by invitation. But that, along with the selection of alcohol (which is currently limited to hard liqor) is expected to change in due course. Texting has surpassed email and a number of other communication methods as the go-to choice for businesses—and for the companies that support business professionals and other travelers. Hotel guest services that use text messaging tap into an easier way of communicating with guests and make them feel their needs are being attended to personally. “The last mile.” Many hotels are focusing on text messaging during “the last mile” – the time just before a guest arrives to check in, according to a recent TNooz business article. By connecting with guests during this time, the hotel can ensure that their questions are answered and that check-in goes more smoothly, boosting customer satisfaction and allowing the hotel staff to streamline efforts for greater productivity and efficiency. Quicker contacts. Guests who have checked in can text the front desk with any needs, questions, or requests. Companies like Marriott, which recently launched its own chain-specific guest app, report that customer ratings on sites like TripAdvisor have risen in direct response to the app’s use. 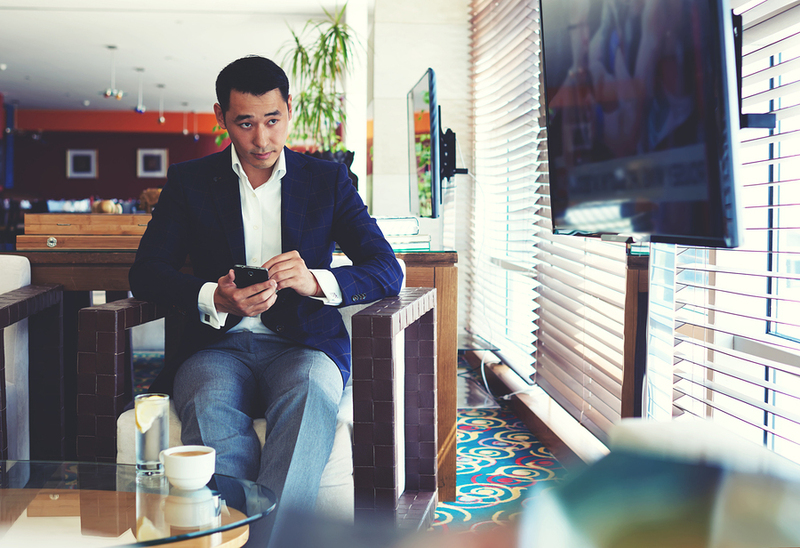 Customers appreciate a simple, quick way to connect with hotel staff without having to leave the comfort of their rooms. One-on-one communication. Guests with disabilities or other special needs are often sensitive about their information being overheard by others standing near a front desk. With text messaging, hotels eliminate this potential embarrassment by keeping conversations about a guest’s needs discreet. Better ratings. According to TNooz, one hotel chain chose not only to implement texting, but also to test its efficacy. The chain matched two groups of guests and gave one the option to text. Positive ratings from the texting group jumped 20 percent over the control group’s ratings, with the texters specifically mentioning the texting option as one of the reasons for their increased satisfaction. The numbers indicate that texting works for hotels that wish to improve their Net Promoter Score or other ratings. Improving information exchanges between travelers, hotel staff, the texting service, and tracking systems, such as expense reporting software. By harnessing technological tools like text messaging, hotels can provide exceptional service in a more efficient and productive fashion, boosting customer satisfaction and repeat visitors while gaining the most value out of expenditures on the project. 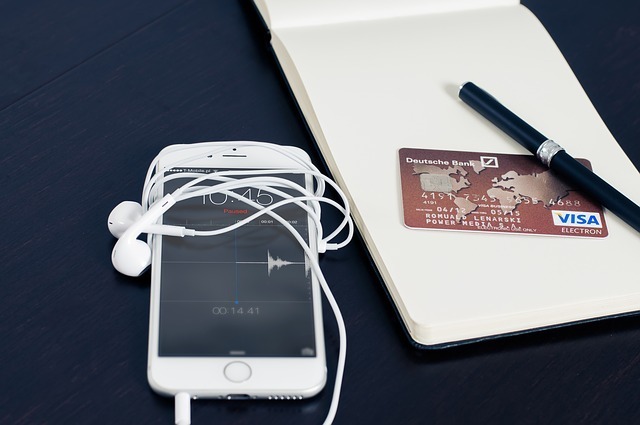 How Secure Are Mobile Payment Apps? Today’s world is one featuring numerous ways to pay for, well, anything. The latest offerings are in mobile form, but just how safe are mobile payment apps? Apple Pay, Google Wallet, Kash, Paypal, Square, Levelup—these products make paying as easy as taking out your phone, but are they vulnerable to hackers? Are the companies behind these oh-so-convenient apps doing everything they can to keep user information safe? These questions and others are being asked in a new report by advocacy group, The Clearing House. The report, entitled Ensuring Consistent Consumer Protection for Data Security: Major Banks vs. Alternative Payment Providers, argues that payment app developers aren’t subject to the same regulatory oversight banks get regarding cyber security. The result is security flaws remaining under the proverbial radar until it’s too late and a breach occurs. Clearing House is owned by the world’s largest commercial banks. Gary Miliefsky is the CEO of SnoopWall, a company that specializes in cyber security. He says that the report highlights real cyber security concerns. Starbucks is one company that has already made headlines for its mobile payment app issues. The app is a favorite way for coffee drinkers to pay, however in May reports suggested it had been hacked. Experts believe the Starbucks app was targeted because it stores credit card information. For its part, Starbucks denied the app was hacked. "When it comes to reporting on breaches involving customer accounts at major brands, the news media overall deserves an F-minus,” cyber security expert Brian Krebs said at the time in defense of the coffee juggernaut. It should be noted that mobile payment options are still in their “infancy,” and that phones themselves are easy enough to hack through apps, wireless signals, and by simply picking the device up and going through it. Using a system that requires two-factor authentication is recommended, as is using completely unique passwords for each account. Mobile payment apps will certainly improve, and in the meantime it’s important to do what you can to preserve the security of your phone and all the accounts it features. Deleting old text messages on your iPhone is a good way to manage its performance. Large apps can take up a considerable amount of space on a phone’s hard drive; left unchecked, text conversations can rival the same amount of space, especially if you’re using video and photos. Deleting text messages is easy, and should be performed regularly to keep your phone running smoothly. But what if disaster strikes and you need to restore a deleted iPhone text? Is it possible? The easiest way to ensure you don’t have a brain aneurysm if you accidentally delete an iPhone text, or need to recover old messages, is with regular backups to iTunes. You can easily recover deleted SMS messages simply by plugging your iPhone in to a computer. Once you’re connected to iTunes, click on your phone icon in the upper left corner. Once selected, choose ‘Restore Backup,’ and all of the previously backed-up settings, apps, text messages and so on will replace the current data on your phone. This shouldn’t take more than a few minutes. It’s important to note, however, that this method can only replace data from the most recent backup. There’s no way to recover material you backed-up three ‘backups’ ago using the iTunes recovery method. Apple’s iCloud is a great option for retrieving lost/deleted text messages, provided that your service area is within a territory that backs up SMS messages automatically. First, log in to iCloud using your Apple ID and password. Look to see if ‘Text Messages” is available. If it isn’t, you’re not in a covered territory. If it is, you’re in luck. Now you can turn your Text Messages back on in the settings menu. Click ‘Merge,’ and in a few minutes, the messages you selected from the iCloud will appear in your phone. Finally, if all else fails, there are a couple third-party apps that come highly recommended for recovering deleted iPhone data. Some apps cost money, which is less ideal than just recovering a backup from iTunes. But when doom is imminent, one must do whatever it takes. WonderSahre is an iPhone data recovery software the runs the gamut. This app works on several devices and recovers just about everything, from lost photos and videos to voicemails and text messages. Another highly recommended recovery system is Tenorshare, which works in all the same ways and offers a free trail. Hopefully, your world won’t come to a screeching halt because of deleted or lost text messages. The takeaway here is that deleting your text messages should be a normal part of your iPhone’s maintenance, but so should backing up the phone regularly so you can get data back if you need it.